This club has spectacular views over the Sheephaven Bay. 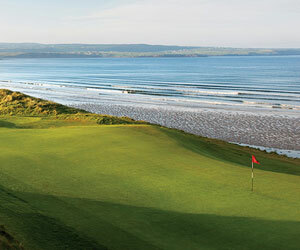 A developing 36-hole links commanding spectacular views over Sheephaven Bay. There are 18 holes currently in play and already golfers have sung the praises of this most promising newcomer to the prestigious list of Irish links course. Two par fours, the 'Googly' 4th and the 16th will test the skill of any golfer. It was hard to find and really bad order when I played it in May 2005. Ienjoyed paying a guy who drove out to find us in a Fiat Uno and appeared to pluck a figure out of fresh air for the fees. That said this course has massive potential with some great shapes of holes already established. Sadly it was difficult to distinguish between the fairways and the greens. I gather someone with deep pockets has taken an interest in the club and that is great news. This is a diamond waiting for it's true shine. I had the privilege of walking the course on boxing day 2000. As a 9 handicapper I believe that given time to get the greens and tees up to scratch this course could be up with the best in Ireland. 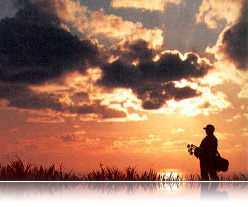 Fantastic driving holes combine with real shot making approaches that will take your breath away. Give it 5 years and this is a must. that Carrigart Hotel is for sale as well?Here is a sleeper....Portsalon since expansion to 18 holes is really super.I am a member at Portrush and am still looking for a course "almost as good" as Portrush or for that matter as good as Wilma is in her job.